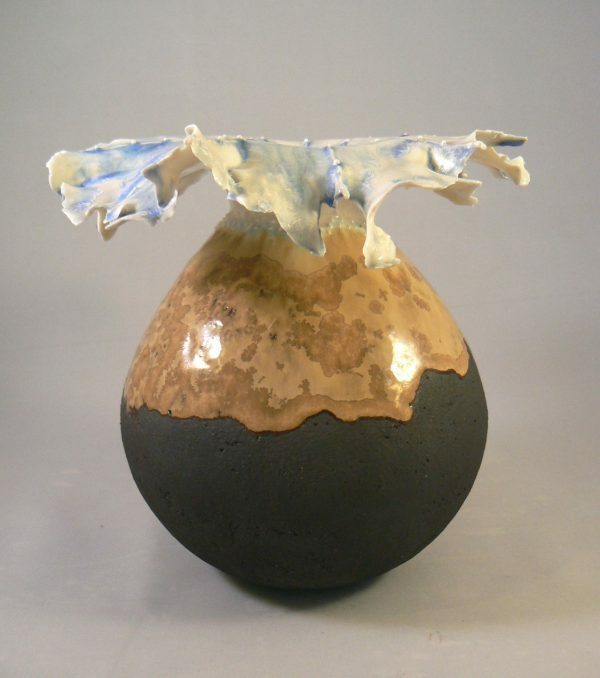 Licy Clayden has been producing ceramics for over 30 years. Her sea inspired pieces are usually built in black stoneware and porcelain which are fused together, an accomplished technique due to the different shrinkage between the two clay’s, this creates the contrasts and textures she enjoys. Oxides and glazes are used to enhance the surface rather than hide it and all pieces are hand built using pinch and coiling techniques.